The Athletic Department and Indiana Sports Radio Network (SRN) recently released the broadcast schedule for the 2018-19 Winter season. SRN will be broadcasting 24 Covenant Basketball games this winter, including two Boys games that will be webcast. SRN will broadcast 16 boys games and 8 girls games. 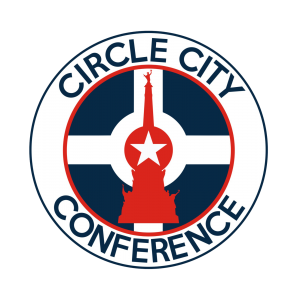 Included in that slate of games are seven of Covenant’s ten Circle City Conference matchups and both championship games of the 14th Annual Scott Bostick Memorial Tournament. To login in to watch or listen to these games, click on the LIVE BROADCASTS link on the MORE pulldown tab on the main athletics page or at Indiana SRN (www.indianasrn.org). The 2018-19 school year marks the eleventh year that Covenant Athletics has partnered with Indiana SRN to broadcast athletic events. SRN broadcasts hundreds of athletic events each year, ranging from football, soccer, basketball, golf, baseball, and softball. Indiana SRN also became an affiliate broadcast partner of the Indiana High School Athletic Association (IHSAA) this year. SRN has broadcast IHSAA State Finals events in football, basketball, baseball, softball, and golf for several years, as well as the inaugural IHSAA Unified Flag Football State Championship this past Fall. If you would like to advertise on these broadcasts, please contact the athletic office for a slate of sponsorship options to help grow your business and support Covenant Athletics.